There are three sections. Section A carries 20 marks, Section B carries 30 marks and Section C carries 50 marks. Attempt all questions. Marks are indicated against each question. Assume suitable data wherever necessary. What is digital computer? Draw block diagram of digital computer and explain each components of it. Digital Computer: A digital computer can be defined as a programmable machine which reads the binary data passed as instructions, processes this binary data, and displays a calculated digital output. Therefore, Digital computers are those that work on the digital data. Input Unit :The input unit consists of input devices that are attached to the computer. These devices take input and convert it into binary language that the computer understands. Some of the common input devices are keyboard, mouse, joystick, scanner etc. Arithmetic and Logic Unit (ALU) : The ALU, as its name suggests performs mathematical calculations and takes logical decisions. Arithmetic calculations include addition, subtraction, multiplication and division. Logical decisions involve comparison of two data items to see which one is larger or smaller or equal. Control Unit : The Control unit coordinates and controls the data flow in and out of CPU and also controls all the operations of ALU, memory registers and also input/output units. It is also responsible for carrying out all the instructions stored in the program. It decodes the fetched instruction, interprets it and sends control signals to input/output devices until the required operation is done properly by ALU and memory. Memory Registers : A register is a temporary unit of memory in the CPU. These are used to store the data which is directly used by the processor. Registers can be of different sizes(16 bit, 32 bit, 64 bit and so on) and each register inside the CPU has a specific function like storing data, storing an instruction, storing address of a location in memory etc. The user registers can be used by an assembly language programmer for storing operands, intermediate results etc. Accumulator (ACC) is the main register in the ALU and contains one of the operands of an operation to be performed in the ALU. Output Unit : The output unit consists of output devices that are attached with the computer. It converts the binary data coming from CPU to human understandable form. The common output devices are monitor, printer, plotter etc. Wrtie a program to check the number is palindrome or not. The program should accept any arbitrary number typed by user. // is Palindrome or not. // Check if rev_n and n are same or not. What is Operating System? Explain various types of functions performed by an Operating System. The fundamental goal of a Computer System is to execute user programs and to make tasks easier. Various application programs along with hardware system are used to perform this work. Operating System is a software which manages and control the entire set of resources and effectively utilize every part of a computer. 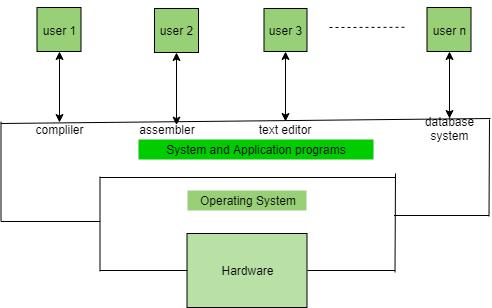 The figure shows how OS acts as a medium between hardware unit and application programs. Shortest Job First(SJF): Process which need the shortest CPU time are scheduled first. Round Robin Scheduling: Each process is assigned a fixed CPU execution time in cyclic way. of I/O devices. In order to optimize the CPU time, the operating system employstwo techniques – Buffering and Spooling. In this technique, input and output data is temporarily stored in Input Buffer and Output Buffer. Once the signal for input or output is sent to or from the CPU respectively, the operating system through the device controller moves the data from the input device to the input buffer and for the output device to the output buffer. In case of input, if the buffer is full, the operating system sends a signal to the program which processes the data stored in the buffer. When the buffer becomes empty, the program informs the operating system which reloads the buffer and the input operation continues. This is a device management technique used for processing of different tasks on the same input/output device. When there are various users on a network sharing the same resource then it can be a possibility that more than one user might give it a command at the same point of time. So, the operating system temporarily stores the data of every user on the hard disk of the computer to which the resource is attached. The individual user need not wait for the execution process to be completed. Instead the operating system sends the data from the hard disk to the resource one by one. In a computer, both the CPU and the I/O devices interact with the memory. When a program needs to be executed it is loaded onto the main memory till the execution is completed. Thereafter that memory space is freed and is available for other programs. The common memory management techniques used by the operating system are Partitioning and Virtual Memory. The total memory is divided into various partitions of same size or different sizes. This helps to accommodate number of programs in the memory. The partition can be fixed i.e. remains same for all the programs in the memory or variable i.e. memory is allocated when a program is loaded on to the memory. The later approach causes less wastage of memory but in due course of time, it may become fragmented. This is a technique used by the operating systems which allow the user can load the programs which are larger than the main memory of the computer. 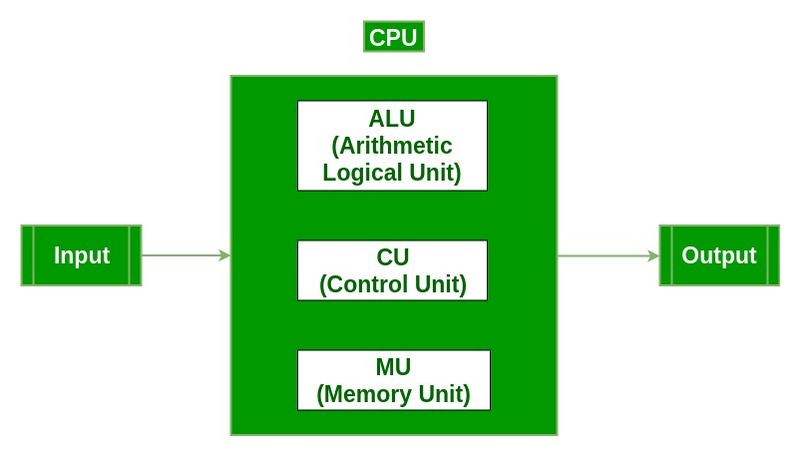 In this technique the program is executed even if the complete program can not be loaded inside the main memory leading to efficient memory utilization. The operating System manages the files, folders and directory systems on a computer. Any data on a computer is stored in the form of files and the operating system keeps information about all of them using File Allocation Table (FAT). The FAT stores general information about files like filename, type (text or binary), size, starting address and access mode (sequential/indexed sequential/direct/relative). The file manager of the operating system helps to create, edit, copy, allocate memory to the files and also updates the FAT. The operating system also takes care that files are opened with proper access rights to read or edit them. 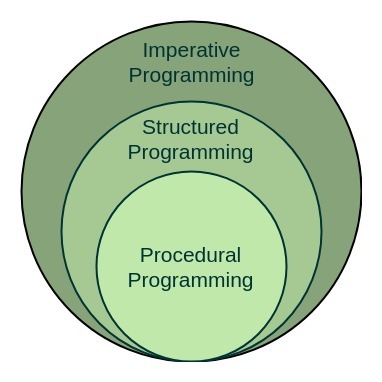 What is Structured programming approach? Highlight the advantages and disadvantages of structured programming. What do you mean by sorting? Write a program in C to sort the elements of a given array of N positive integers. Also give the flow chart for the same. A Sorting Algorithm is used to rearrange a given array or list elements according to a comparison operator on the elements. The comparison operator is used to decide the new order of element in the respective data structure. For example: The below list of characters is sorted in increasing order of their ASCII values. That is, the character with lesser ASCII value will be placed first than the character with higher ASCII value.